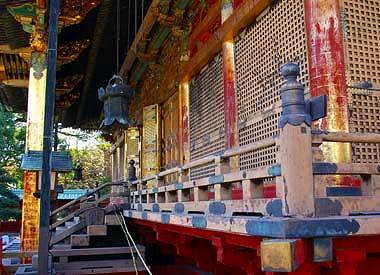 There are a great number of Toshogu shrines around the country, especially east half of Japan. All of them were dedicated to Ieyasu, the founder of Tokugawa shogunate. 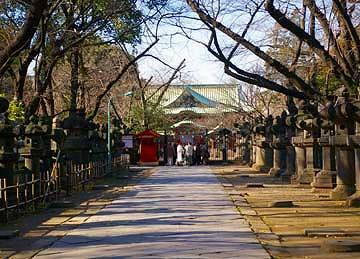 The name of the shrine “Tosho” means “enlightening east” that is, Edo. The most famous and important one is that of Nikko. 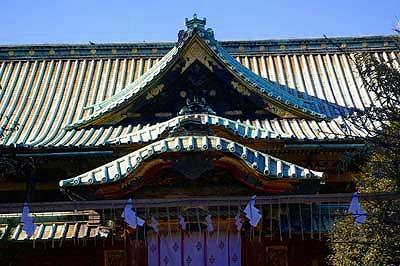 But the shrine at Ueno is no less important in the respect of cultural value. 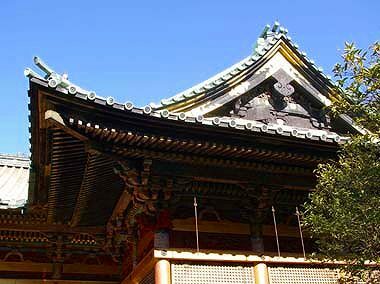 It was designated as a national treasure in 1907. 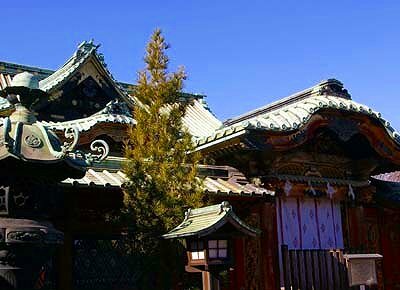 The shrine was founded in 1627 by the second shogun and rebuilt in 1651 by the third shogun “Iemitsu” into the image of today. and surrounded by roofed walls with a front gate. The front building along with the gate and walls had been gilded with gold. 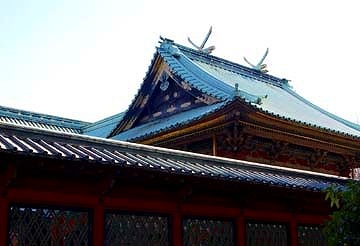 The building is very elaborate and richly decorated with paintings and carvings. Many large bronze and stone lanterns line the walkway to the shrine. 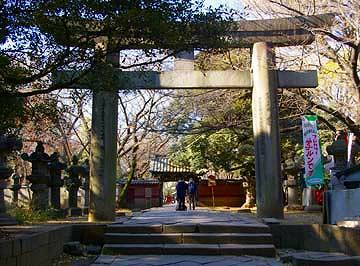 At the start point of the walkway stands the main Torii.